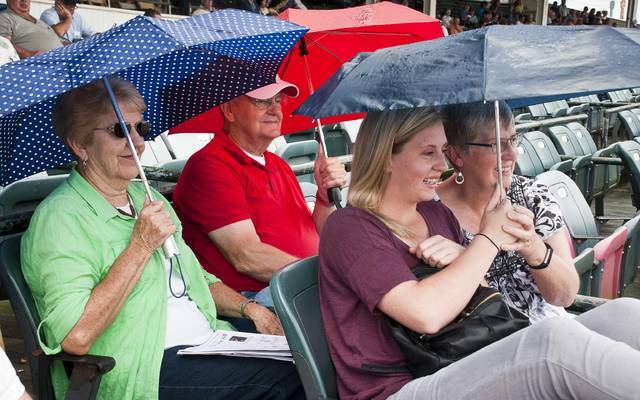 Sitting for two hours in the rain didn’t dampen the fun for Caroline and Diane Welker, front row, and Joyce and Marion Wilcox, back row, watching harness racing at the Little Brown Jug Grandstands. The group said they hadn’t picked any of the winning horses, but were hoping they would soon. This entry was tagged delaware, Fair, Little Brown Jug. Bookmark the permalink.